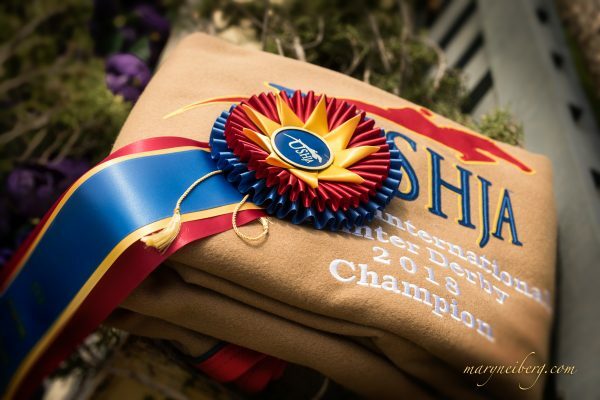 Colvin Earns Grand Junior Hunter Championship At The Hampton Classic Junior hunters earn tricolors in Anne Aspinall Ring. Bridgehampton, NY-August 30, 2013 -Just as she did in 2012, Victoria Colvin won two junior hunter championships on two horses owned by Dr. Betsee Parker and trained by Scott Stewart. 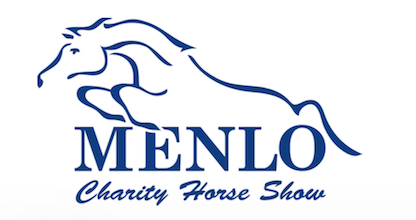 Her victors were even the same two horses-Ovation won the Grand Junior Hunter Championship after winning the Small Junior Hunter, 15 and Under title, and Way Cool won the Large Junior Hunter Championship, 15 and Under title. Way Cool also earned the Junior Hunter High-Score Award for scoring 92 points in one round. 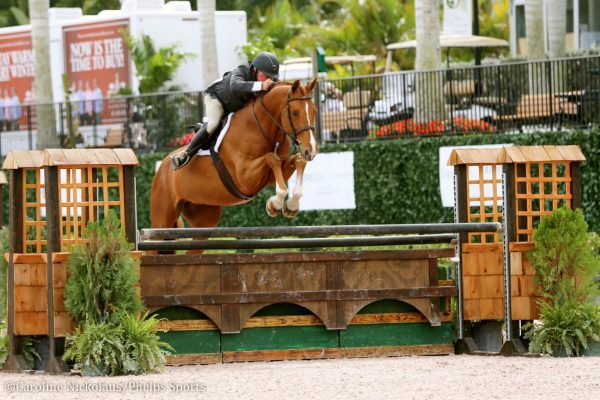 “He really likes this ring-I think he likes the grass- and he jumps great in it,” said Colvin, 15, of Wellington, Fla.
Colvin has been riding Ovation and Way Cool for more than three years at Stewart’s barn. “They’re really easy and really fun, and they’re both usually perfect at every show,” she said. 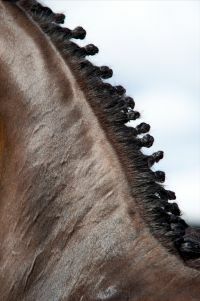 Colvin said that the two geldings have some common personality traits. For one thing, Ovation and Way Cool are each showmen, almost prima donnas. “They’re both cranky when other horses get near them, but they think people are their friends,” she said. 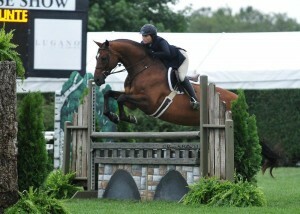 Lillie Keenan, 16, won the Large Junior Hunter, 16-17, Championship on Walk The Line. 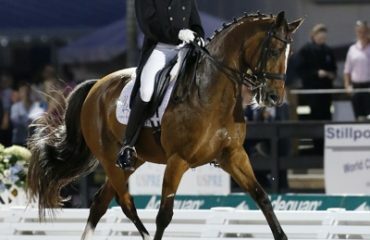 The tricolor ribbon was the latest in a series of victories for Keenan, of New York, N.Y., at the 38th Hampton Classic. 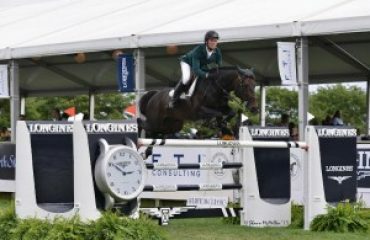 On Tuesday she won the $20,000 Hampton Classic Time Challenge, and on Thursday she won the Sam Edelman Equitation Championship. She’s riding eight different horses in the jumper, hunter and equitation divisions. “Walk The Line is a quirky horse, but a whole lot of fun,” said Keenan. She started riding the gelding in early 2013-her friend Meg O’Mara had previously owned him but aged out of the junior division and sold him to trainer Don Stewart. Keenan said she she’d watched O’Mara ride him often, and now she leases him to show. 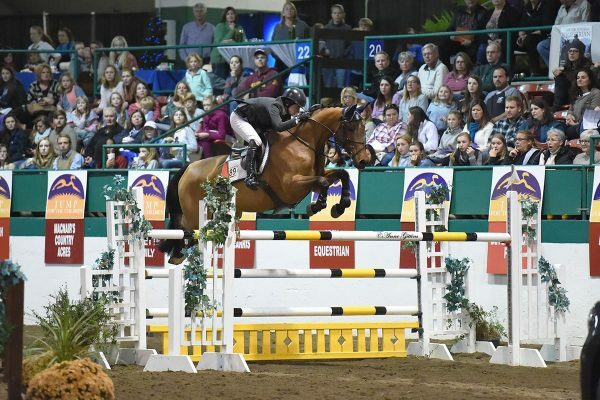 “He jumps unlike any other horse I’ve ever ridden-he really fires over the jumps. 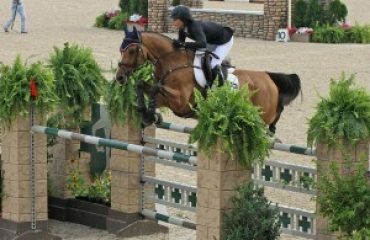 At every fence he gives a crazy effort and jumps a 10, if not an 11. He really wants to win,” Keenan said.